A mix of elegance and poetry… Meet Troy, a real gem by the great Marcel Wanders. At first glance, you notice its superb steel wire base and light, graphic structure. Start using it and you’ll appreciate the excellent ergonomics of the seat, which perfectly fits our body shapes. Troy is a delightful mix of materials: this stool has a polypropylene seat and varnished steel tubular structure. Its wide seat offers optimum comfort. 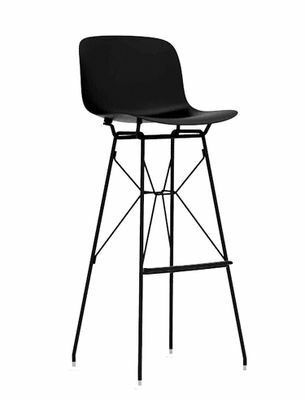 Sturdy and stackable, this easy-to-live-with bar stool fits in anywhere, both in private spaces and public environments.